European Public Law is an English language journal edited at the Institute of European Public Law at the Law School, Hull University. A forum for the discussion of issues in the development of public law, the journal traces the public law of the Member States as it is shaped by the law of the European Union as well as by the Council of Europe’s European Convention on Human Rights. European Public Law provides a detailed analysis of constitutional and administrative law at a crucial stage of European integration and legal development. 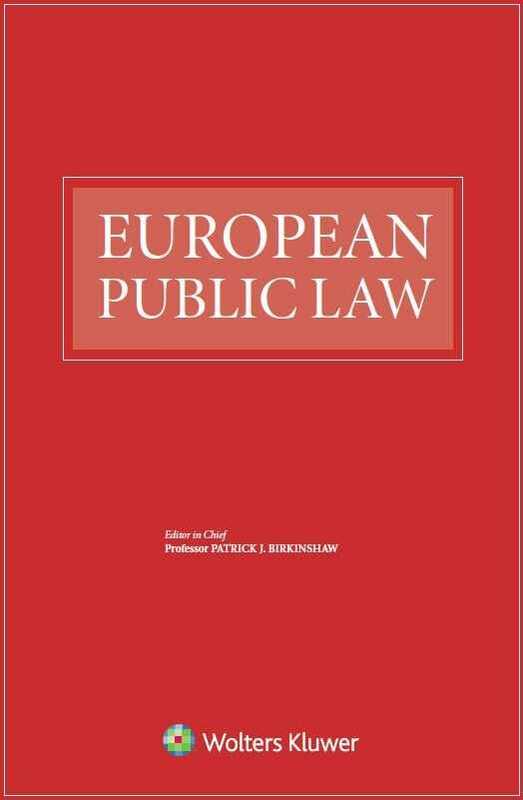 In its high-quality articles, authorities in the field investigate the extent to which the separate systems of public law in each Member State are, notwithstanding their distinct historical and cultural backgrounds, developing a European Public Law in tandem with the law of the European Union Treaty. The journal also examines the public law systems of new Member States. Without neglecting the more traditional concerns of constitutional and administrative law, the journal explores the emerging constitution of the European Union and the interplay between law and politics. It is concerned with the identification, examination and control of public power as public and private become ever more intertwined. Public law is given a wide interpretation, including the structure of government, judicial review, the conduct of regulatory bodies, redress of grievance through ombudsmen and administrative bodies, protection of human rights and protection against discrimination, openness and transparency, fiscal and monetary policy, and the role of regulation in the contemporary state and the European Union. In short, the journal embraces the operation and control of government and government agencies, regulation of economic and commercial affairs and relationships between the state and individuals.